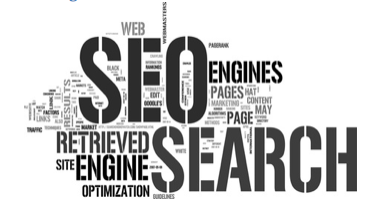 Being successful in Search Engine Optimization isn’t as easy as it seems, particularly because the turf you’re working on is constantly changing and you always have to ready to adapt to new situations. It can be exhilarating and frightening at the same time, but thankfully there are tools to help you along the way. Many apps and browser extensions have developed an irreplaceable role in SEO domain and virtual private networks (VPNs) are slowly becoming crucial as well. VPN has been around for some time now and in that time it managed to prove itself as one of the best ways to keep your online privacy in check at all times. With so much surveillance and restrictions going on all over the internet, we need something that allows us to browse the web freely and virtual private networks let you do just that. But, do you need VPN for successful SEO? The most important role of VPN in SEO is that it keeps you safe from all the prying eyes that are trying to track your internet activities and steal information for their malevolent purposes. A good VPN encrypts all the data that comes out of your laptop or computer, so that no third party can ever misuse them. Virtual private networks create a tunnel within your internet connection, through which all the data can go through safely without any security mishaps. For your SEO work this means that you won’t ever have to worry about your competition monitoring your every move and you can be sure that your online presence isn’t compromised in any way, so that you can do your work freely and efficiently. Another great advantage of using VPN in SEO is that virtual private networks can transfer your IP address to any part of the world, thanks to VPN servers. While masking your IP address is a form of protection against tracking you and discovering your physical location, it also serves as a great tool to get an insight into how your targeted audience in other countries sees the results for a certain keyword or phrase. Search results vary significantly from one country to another and if you’re expanding your SEO game, then you need to know what the rules are and VPN can help you here. Simply grab a VPN such as Pure VPN, choose a server that is in the country you’re doing your SEO for and start your research. One of the many beauties of SEO work is that you’re in no way tied to any location or strict working hours, which is amazing. However, with this free lifestyle that often includes traveling and using public networks also come many potential security problems. VPN was primarily invented for remote workers who needed a way to safely access confidential work information from afar and it worked like a charm. Getting a virtual private network for your laptop will help you evade petty cybercriminals and their pests that are omnipresent on unguarded public Wi-Fi. All you need to do is use your VPN whenever you’re connecting to a public network and do your work without fear that any harm can come your way. If you’re dealing with geo-targeting within your SEO strategy, then having a VPN will come in very handy. Not only will you be able to determine just how you should shape your content to fit the needs of your targeted audience all over the world, but you’ll also be able to see how other successful companies have done geo-targeting as well. This is a great way to see if what you’re doing is paying off and if not, you can find new ways to change it straight away. Guest article written by: Michael Conley is a 35-year-old digital security specialist from Pittsburgh, Pennsylvania, and one of the finest writers here at 9to5alternatives.com. When he’s not working, he enjoys watching old movies and shooting pool with his friends. Next post: What are DDOS Attacks and Why Should You Care?